A meeting was held with executives from a manufacturing company that produces cargo convoys. The Governor of Guanajuato, Miguel Marquez Marquez, is showcasing the State with the goal to bring new investment for the automotive sector. A meeting was held with executives from a manufacturing company that produces cargo convoys for both light vehicles and light commercial vehicles. This company is currently maintaining 1,200 jobs worldwide and has production plants in Turkey, China, United States y and the State of Mexico, which coordinates four business units: the automotive sector, the railroad system, the service sector and the electronic vehicles division. 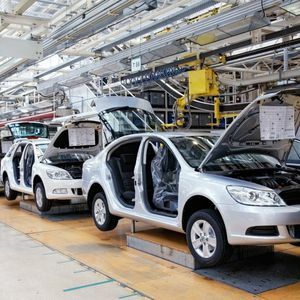 Nowadays, there are 220 companies from the automotive sector In Guanajuato, which have invested nearly $13 billion and have created almost 84,000 jobs.